iSeeChange flips the script on environmental reporting by crowdsourcing listeners' observations about the weather. Visit the iSeeChange Almanac to learn how climate shifts are affecting Americans' lives. Drapkin's reporting draws scientists in to create dialogues that help community members make hard decisions together. Planet Takeout serves up perspectives from both sides of the counter on Chinese carryouts as crossroads of life and culture. Wang's interactive documentary, produced with Zeega, features vignettes from outposts in diverse Boston neighborhoods—illustrating how they act as lenses onto the communities they feed. ReInvention Stories gives residents of Dayton—one of America's "fastest-dying cities"—a chance to reflect on how they're remaking themselves. Julia Reichert and Steven Bognar, an award-winning filmmaking duo, work with WYSO staff and volunteer media-makers to craft multimedia reports, and with Zeega to build a groundbreaking interactive documentary. EZO's "thought collaboration" asked participants to help answer a tough question: "What does school accomplish?" Eight characters played this "authentic fiction" out across social media and face-to-face: a guidance counselor and seven fictional teens. EZO brings "something new to the conversation about education," says Wired. Black Gold Boom traverses the rigs, man camps, and crossroads of North Dakota's oil rush, capturing compelling audio portraits of the workers who have streamed there, and unpacking the implications of the region's rush to drill. Don't miss Rough Ride, a groundbreaking immersive short-form tour of oil country, produced in partnership with Zeega. Hear Here deepens coverage of the Bay Area and Oakland beyond the usual "bleed and lead" headlines by seeking the stories most relevant to residents and connecting neighbors. Mu's team works in concert with community partners to host live, "pop-up" events that feature local participants, storytellers, musicians, and artists. Austin Music Map uncovers Austin's diverse sonic subculture in tandem with fans and performers. Travel with Hall beyond the city's much-documented music scene to the "third places" where musicians perform and commune: front porches, sidewalks, churches, and under bridges. Hall, KUT, and Zeega developed an evocative digital map to help users immerse themselves in these hidden gems. Curious City opens up the newsroom by crowdsourcing questions from Chicagoans and partnering the "winning" questioner with a reporter. An interactive site lets participants follow the investigations from query to broadcast and beyond. See how dozens of WBEZ reporters are crafting multimedia explorations designed to inform and delight. 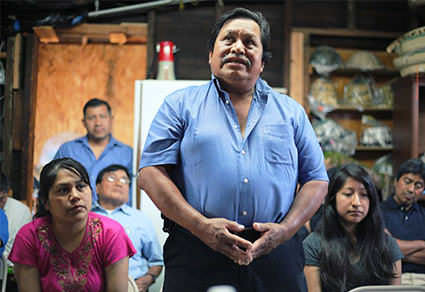 Multiplatform documentary Sonic Trace opens us to an authentic and intimate experience of Latin American immigrants, from their new roots in LA neighborhoods and back to their home communities. Anayansi Diaz-Cortes reports from both sides of the border on-air, online, and—throughout LA—from a portable storytelling booth, La Burbuja. AIR's nationwide Localore productions launched in 2013 accelerate innovation at public radio and TV stations and sink new taproots into local communities with "full-spectrum" models that blend on-air, screen, and street media. Together, Localore's 12 lead producers—with their stations, interactive storytelling partner Zeega, and a team of more than 230 collaborators—helped lay the ground for a more inclusive 21st-century public media. Much of the work continues – Curious City, iSeeChange, Sonic Trace, are among those continuing to develop new models, create documentary films and radio features, and carry public broadcasting into new territory. Funding was provided by the Corporation for Public Broadcasting, the Wyncote Foundation, the John D. and Catherine T. MacArthur Foundation, the National Endowment for the Arts, and AIR's members worldwide. 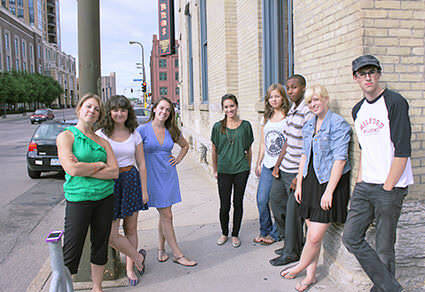 To go inside the 2012-13 production, watch our documentary, "This is Localore." Learn about the next Localore production “Finding America,” launching in 2015, here. Sue Schardt is an award-winning producer and independent strategist who assumed leadership of AIR’s network of nearly 1000 producers in 2007. She presents frequently on media-technology, including the 2012 Features Conference “Think Tank” in Leipzig, Germany, the FCC’s Washington, DC workshop on The Future of Media in the Digital Age, and the 2012 Australian Centre for the Moving Image’s Co-Creative Communities: Forum and Lab in Melbourne. 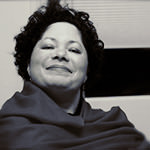 Schardt serves as a Director on the Distribution and Interconnection Committee of the NPR board, an advisor to Native Voice One, and to NPR’s From the Top. 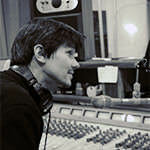 She is a long-time music DJ on MIT’s free-form radio station WMBR in Cambridge, MA. Noland Walker is the Peabody Award-winning producer/director of "Revolution," an episode of PBS' Africans in America series (1998). He is also an Emmy winner for his work as a producer/director on the television documentary A Day in the Life of Jeremiah Burke High School (2001). He wrote and co-produced the Emmy-nominated documentary Jonestown: The Life and Death of Peoples Temple (2006), and his film Citizen King (co-writer, co-director) won critical acclaim. Jessica Clark is an internationally recognized researcher and journalist focused on media, technology, and what drives change. 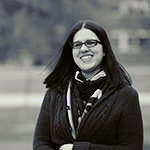 From 2007 through mid-2011, she directed the Future of Public Media initiative at American University's Center for Social Media, and also served as a Media Policy Fellow at the New America Foundation from 2010 to 2013. 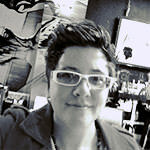 See her work at jessicaclark.com. Twitter: @airmedia. Erin Mishkin is the lead wrangler for AIR's expansive, diverse membership. 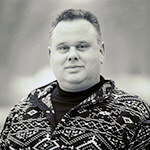 Prior to joining AIR, Mishkin attended the Salt Institute for Documentary Studies radio program in Portland, Maine, and directed the Digital Natives research project at the Berkman Center for Internet and Society. 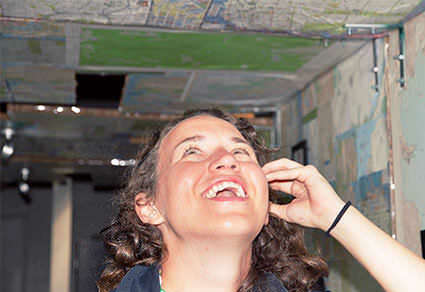 She also worked at the Public Radio Satellite System (PRSS) and at Boston's Institute of Contemporary Art, where she currently serves as the co-chair of the Regional Youth Media Arts Education Collective. Lo Audley is AIR's operations associate. 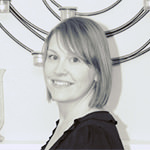 After working in finance, Audley and her extensive experience with Excel became a part of AIR's team in October 2009. She crunches numbers, organizes events, publishes podcasts, and decorates the office as the need arises. She also has training in improvisational comedy from the Upright Citizens Brigade Theatre in New York City. Laurie Selik's responsibility is producing reports on the production's deliverables to CPB. A versatile manager, since 1999 Selik has provided development support to some of the nation's top public radio programs, including Marketplace, Weekend America, the Savvy Traveler, and other American Public Media productions, and has mentored several AIR members. She is also a Foundation and Corporate Giving Officer for The Colburn School in Los Angeles. 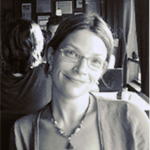 Kara Oehler is Zeega's editor-in-chief. 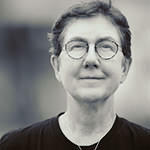 She is a Peabody Award-winning audio documentarian, and her work has aired on shows such as Radiolab,Hearing Voices, Studio 360, and been exhibited at venues such as MoMA. 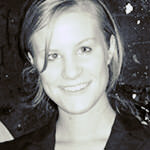 She is a Radcliffe/Film Study Center Fellow at Harvard University and a Rockefeller Fellow with United States Artists. 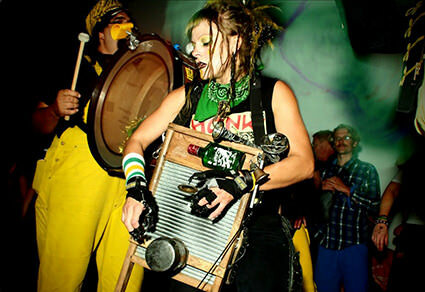 She is also co-creator of the interactive documentary Capitol of Punk. 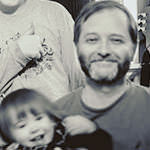 James Burns is Zeega's chief creative technologist. 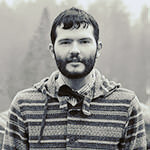 He is a media artist and hacker who built the API-driven website Mapping Main Street, constructing a system that automatically interrelates media feeds from across the Web into thematic and geographic pathways. He holds a Ph.D. in Economics from Harvard University. 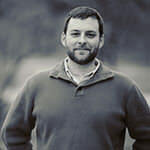 Jesse Shapins is Zeega's chief strategy architect. 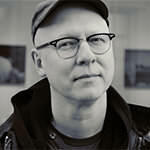 He is a documentary artist, media theorist, and social entrepreneur whose work has been featured in The New York Times, Metropolis, and Wired, and been exhibited at MoMA, among other venues. 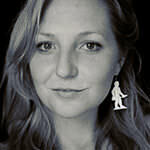 Lindsey Wagner is an artist who loves working with others to produce inspiring and valuable experiences. She worked as Zeega's director of projects and user experience through early 2013 and was instrumental in leading the production of several of the Localore projects. 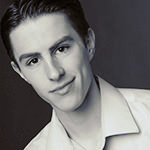 Joseph Bergen is Zeega's lead interaction designer/developer. 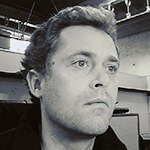 He is an engineer and designer whose interests revolve around technology, data, and art in relation to physical place. 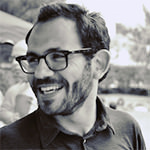 His work has been featured on FastCoDesign, the Wall Street Journal blog, and visualizing.org, and has received top awards from Google. 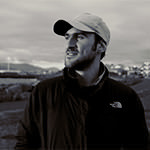 Luís Filipe Brandão is Zeega's lead database designer/developer. Luís is a software engineer specializing in machine learning. Previously, he has worked as a programmer for Textkernel and the Berkman Center at Harvard through the Google Summer of Code program, and he developed an interactive installation for Mediamatic, a media arts institute in Amsterdam. 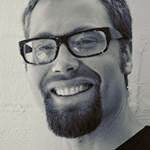 Eric Demicco is a creative technologist at Zeega. He is a (mostly) self-taught developer who likes building and fixing things. 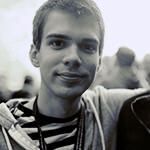 Previously, he worked on large-scale Web projects for an interactive agency. 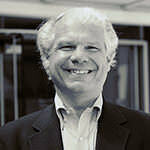 Hawk Mendenhall is associate general manager and director of broadcast and content for KUT-FM in Austin, Texas. Mendenhall served as a board member for the Public Radio Program Directors Association for four years, and for two of those he was the organization's treasurer. Prior to joining KUT, Mendenhall was the program director for KUER in Salt Lake City, Utah, beginning at the station as an announcer and as a news producer. Public School is a group of creative folks working on the east side of Austin—two photographers and five graphic designers doing their best to show you everyone's best. Todd Melby is lead producer of Black Gold Boom. He's also a reporter. His stories have aired on U.S. public radio stations, including national shows such as Marketplace and The Story. He is a senior producer at 2 below zero, a public media nonprofit. And he's won a pair of Edward R. Murrow Awards, a Sigma Delta Chi Award, and a PRNDI Award for radio documentaries produced with Diane Richard. 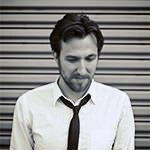 Philipp Batta is a documentary filmmaker and photographer based in Chicago. He works with sociologists, historians, nonprofit organizations, and international brands to tell character-driven stories about culture, society, and personal journeys. 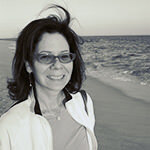 Diane Richard is a reporter and radio producer. She is a senior producer at 2 below zero, a public media nonprofit. She has won a pair of Edward R. Murrow awards, a Sigma Delta Chi award and a PRNDI award for radio documentaries produced with Todd Melby. 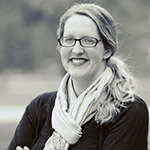 Originally from Georgia, Laura Candler is an independent radio and multimedia producer interested in all things rural and most things Southern. Her work has aired on a number of outlets, including Marketplace and Prairie Public. 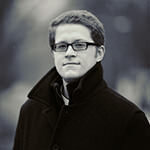 Ben Garvin is a staff photojournalist for the Pioneer Press in St. Paul, Minnesota. He was named 2010 Journalist of the Year by the Minnesota Society of Professional Journalists. 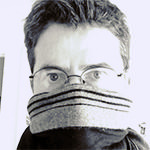 James A. Reeves is a writer, educator, and designer. He's a partner at Civic Center, a creative studio in New Orleans, and he writes at Big American Night. His first book, The Road to Somewhere: An American Memoir , was published W.W. Norton in 2011. 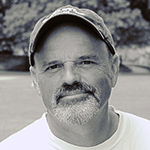 Bill Thomas came to North Dakota after working in Lincoln at Nebraska's Public Radio Network. He's worked in Champaign-Urbana, Illinois; Los Angeles; Washington, D.C.; and St. Louis. In addition to starting small community stations and managing national program distribution, Thomas has been a program director, a station manager, and a network manager. Dave Thompson has been saying good morning to public radio listeners in North Dakota since 1981, and under his watch, Prairie Public's radio service has won nearly 100 awards for news reporting. 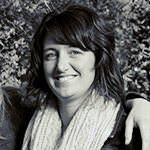 Jennifer Brandel is the lead producer of Curious City. She's reported hundreds of news spots and dozens of independent feature pieces for WBEZ and national programs. She's served as a writer for Transom.org and the talent for fictional pieces aired on WireTap and Love+Radio, and she has produced radio conferences and broadcasts for The Third Coast International Audio Festival. 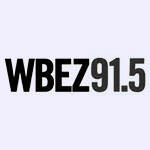 Shawn Allee edits broadcast and online work produced by WBEZ's Community Bureaus. His own radio work landed him on NPR's On The Media, All Things Considered, This American Life, Marketplace, and other public radio outlets. His investigations of nuclear power and dioxin cleanups earned him several awards, including a National Edward R. Murrow Award for best audio news series. 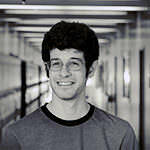 Logan Jaffe is a web producer and multimedia journalist. She's worked as a web designer and workshops assistant at Smathers Libraries, a photographer for The Gainesville Sun, and has completed internships with the Isthmus in Madison, Wisconsin, and The Miami Herald. 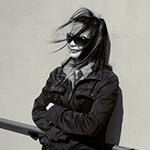 She is the art and layout editor of the soon-to-be-published book Self-Portraits of American Union Members. 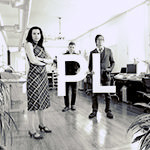 Plural is a Chicago-based creative studio practice founded in 2008. With a focus on pursuing meaningful projects, Plural explores new approaches within the design process, experimenting in a wide range of media including print, Web, video, sound, interactive, and installation. More than 30 reporters spanning the WBEZ staff as well as independent producers have reported for Curious City. In addition to broadcast radio features and conversations, the collaborations have produced videos, data visualizations, interactive maps, a song, and a comic. 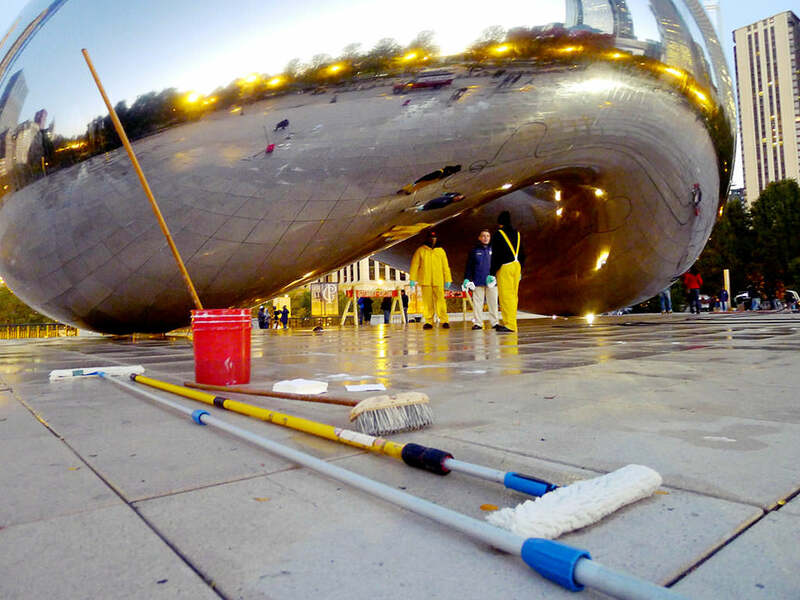 In 2013, Curious City jumped platforms by partnering up with a new Chicago public television show called In the Loop. Each weekly episode will end with a video question and answer from Curious City. Ken Eklund is lead producer for Ed Zed Omega. 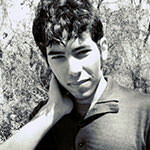 He is a game designer and thought leader in the area of serious games and collaborative gameplay for the social good. When he's not affixing ghost thoughts to a landscape, or popping voicemails out of a time funnel, or unleashing unstoppable world peace memes, he's a lap-on-demand for Annie the Cat or hanging out in the backyard with the chickens Audrey, Belina, and Faye. 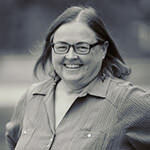 Andi McDaniel innovates programming and produces web content and multimedia for Twin Cities Public Television, now that her days as a firefighter, a bilingual substitute teacher, an organic farmhand, and a popsicle peddler are over. She lives in the Midwest on purpose, loves good real food, good real people, Brussels sprouts, unreally good stories, and her big, awkward dog. 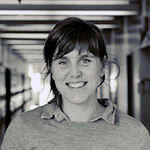 Maggie Ryan Sandford writes and produces for print and broadcast media, with an emphasis on science and social change. A proud Seattle native, she has a sordid past in New York sketch comedy, a sordid present in short fiction and storytelling, and a non-sordid soft spot for marine mammals. Evelyn Rodriguez creates interactive, social media worlds blurring online and offline in hopes of breathing life into new myths and fairy tales we can live by. A traveling poet-pilgrim, she's the Tolstoyan stranger who trails through town, giving her leeway to engage her favorite hobby: conversing with a variety of people from all walks of life. Christine Hauer pumps up people and companies' brands through promotion, PR, marketing, and social media. She also sings a lot of karaoke, and her favorite joke is: What kind of flower grows between your nose and your chin? Give up? Tulips! 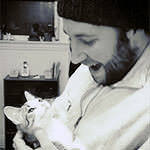 Jon Bakke shoots and edits video, although he is equally comfortable remodeling homes, programming drums, tearing it up on his motorbike, and making his über-adorable cat, Pepper, immortal on the Internet. Tara Borman performs all kinds of theater all over the Twin Cities, but her favorite things are singing and making people laugh! An original cast member of the smash hit series Church Basement Ladies, she is often seen performing in musical comedies, if she can be tempted away from walks and snuggles with her dad's puppy, Roscoe. Niko Richardson acts, studies theater, and dreams big about changing the world through telling his story and the stories of young people like him. Originally from the rough side of Chicago, he now resides in Minneapolis, where he works hard to look after his family and friends, especially his daughter, the star of his show. Lauren Lindquist attends Running Start college. She plays guitar, strongly believes in animal rights, and enjoys writing, filming, and editing. She would like to create films all the time, but unfortunately no one takes 16-year-olds seriously. 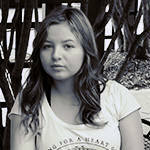 Breanna Kolasa attends high school as a junior and makes music live on Ustream. 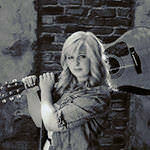 Minnesota born, she dreams of moving to Nashville to follow her dreams as a music producer and performer. Zachary Schaeffer teaches, builds sets, watches a lot of British comedies on Netflix, rides his motorcycle in the summer, and enjoys travel as often as possible. As an actor, he specializes in Shakespeare and straight plays, but is branching out into musical theater. He asks good questions. Bailey Murphy performs onstage as a proud member of the theater community in Minneapolis. She's seeking a master's degree in fine arts to both further her performing career and teach drama. She bakes better cookies than anyone you know, can't live without Chinese food and Doctor Who, is shamelessly proud of her Irish heritage, and is known for her boisterous laugh, especially in movie theaters. 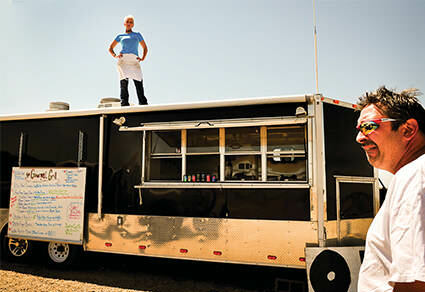 Jennifer Inderlee changes the world one person at a time through nutrition and fitness. She's a receptionist by day, actress by night, and occasionally a superhero on the weekends for special events throughout the Twin Cities. She believes dreams come true through time, patience, and planning. Pretty fantastic! Erica Mu is lead producer for Hear Here. She dove down the transmedia rabbit hole when she pitched Hear Here and now considers herself a community organizer, inventor, structural engineer, and multimedia maven—when she's not producing radio stories. Mu also holds a special place in her heart for community health and arts and culture reporting, recently winning an Excellence in Journalism Award from the Society of Professional Journalists, Northern California. 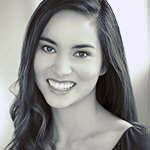 Audrey Dilling produces Hear Here with Erica Mu, reports and produces radio features for the evening news magazine Crosscurrents, and serves as web editor, online engagement strategist, and volunteer coordinator for KALW News. Fresh to the world of radio production, Anne Huang has been learning the intricacies of radio interviews and story production for the past year with Hear Here. As a community partner specialist, Huang has played an instrumental role in Hear Here's partnerships with the public libraries and community outreach. 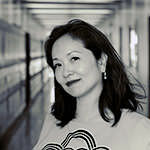 Wendy Baker is a multimedia arts educator. She works in San Francisco's public schools and after-school programs, helping youth explore the role that personal narrative, storytelling, and digital media can play in education, community arts, and social change. Ninna Gaensler-Debs is a San Francisco native. You can find her planning events for Hear Here, working on radio pieces for KALW's Crosscurrents, freelance writing, or, most likely, eating. Seth Samuel is a radio producer and engineer, composer, pianist, trombonist, tweeter, podcaster, and a McLaren Park Masher. He lives in San Francisco. 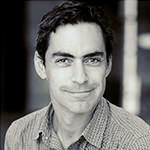 Chris Hoff is an engineer, reporter, producer, and editor for KALW's news magazine program Crosscurrents. He also assists with the popular program Philosophy Talk and trains the next generation of journalists as an assistant instructor at Mills College. Martina Castro is managing editor of KALW News, which includes overseeing arts coverage for the department, editing and reporting stories, as well as helping to manage special projects and volunteer training. 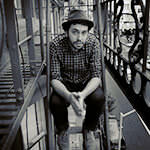 Juan F. Leguizamon is an interactive art director specializing in illustration, design, and motion graphics. He recently left San Francisco for New York City, where he now lives. 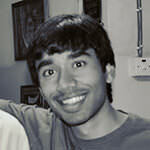 Jaydev Mahadevan is a Web developer and entrepreneur. He is currently working on a better way to do computer vision research. Zak Brazen is creative director and brand strategist for Brazenworks, a design and innovation consultancy with a passion for solving problems by understanding people. 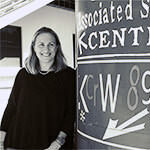 Holly Kernan is a longtime public radio reporter and producer, currently serving as KALW's news director. 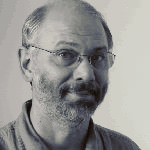 Kernan is an educator and public media architect, founding the award-winning Public Interest Reporting Project and primetime news magazine program Crosscurrents. She has been honored by organizations such as the National Federation of Community Broadcasters, Public Radio News Directors Association, Society of Professional Journalists, and American Women in Radio and Television. 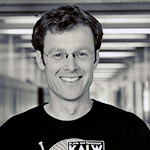 KALW station manager Matt Martin got his start in radio at KPFA in Berkeley and came to KALW as a producer for Working Assets Radio—the program now known as Your Call. 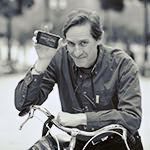 In 2006, he took the reins as KALW's general manager where he focuses on the development of high-quality, innovative local programming, in combination with the best from global public broadcasters. 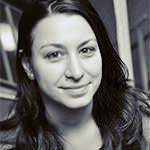 Julia Kumari Drapkin is the lead producer of iSeeChange. 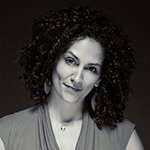 She is an experienced radio, television, and multimedia producer with a passion for finding innovative ways to connect people to their environment, particularly online. 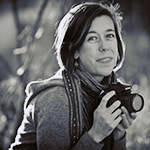 She has worked as a science reporter, foreign correspondent, and multimedia producer for The Nature Conservancy, PRI's The World, Global Post, The St. Petersburg Times, and Time.com. 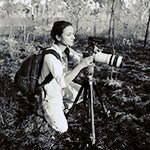 She began her career as a photojournalist for the Associated Press in Sri Lanka. 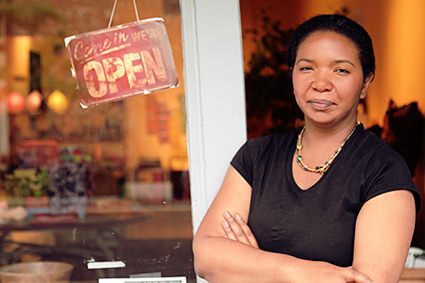 Sally Kane came to public radio with a Bachelor's Degree in Social Science, a career in Public Health, and experience as a small business owner. Raised in rural Colorado, her first time at KVNF was as a DJ in 1980 when she was a high school student. 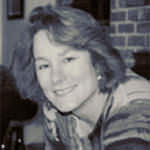 During her tenure at KVNF, Sally led a capital campaign for a new facility and helped start the local news department. She also works with area nonprofits facilitating trainings on organizational excellence. She has two grown children and lives on a small ranch near Paonia. 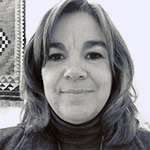 Andrea Lecos is a freelance graphic designer and mixed-media artist with her business County Road Productions. Her past experience includes working for the U.S. National Arboretum and Smithsonian Folkways Recordings, and running her own landscape design business. Despite all of the banjo jokes, she is a sometimes musician/songwriter/vocalist, performing, along with her husband, in the band Hard Pressed. 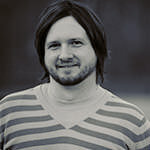 Jay Casteel is lead Web developer at the New Orleans-based Skuba Design Studio, where he is extremely passionate about creating Web applications with social messages. Having grown up in Holland and lived in more than 15 cities around the United States, Casteel is always excited to travel. His latest obsession is taking his third-place kickball team to first place next season. 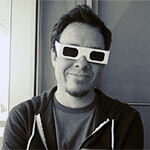 Dan Leininger is a programmer, UI designer, inventor, and musician in New Orleans. He spends half his time designing and programming, and half working on HappyFunPlanet, a project designed to create new tools for peer-to-peer learning, open platforms for users to build and share custom modular information paths and machines, and ways for people to uncover the extent of their knowledge. He also plays music with his band, The Complicated Math Problems. 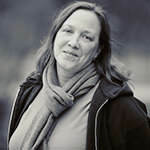 Michelle Nijhuis is an award-winning science and environmental journalist who writes for National Geographic and other publications. 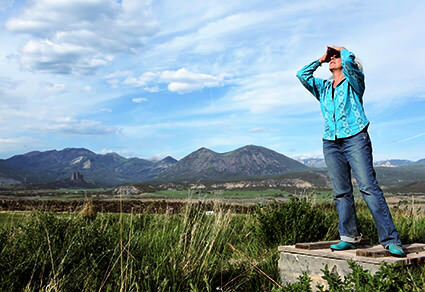 She's a longtime contributing editor for High Country News, which is based in iSeeChange's hometown of Paonia. Loretta Williams is an independent producer, editor, and reporter based in the Los Angeles area. She is a former producer for NPR's Morning Edition and Weekend Edition Sunday and an editor for NPR's arts desk. 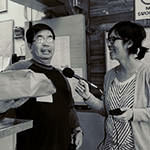 She has also worked for two award-winning public radio producers: SoundPrint and SoundVision Productions. 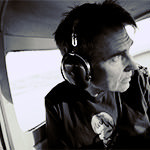 Most recently, Williams has been producing for the public radio series Burn: An Energy Journal hosted by Alex Chadwick. Phil Redo is the managing director of WGBH Radio-which includes all editorial and strategic responsibilities for 89.7 as well as involvement with all of WGBH's other editorial efforts, including WCAI on Cape Cod, The World, and The Takeaway. He has a 35-year radio career in both public and commercial radio and has run major-market radio stations in New York, Chicago, and Boston. Kelly Creedon is a documentary photographer and multimedia producer based in Boston. 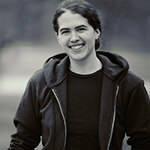 Most recently, she is the creator and producer of We Shall Not Be Moved, a multimedia documentary project that tells the story of the growing grassroots anti-foreclosure movement in Massachusetts. Creedon's work has been featured in the Boston Globe, Boston Magazine, Shelterforce, WBUR, WGBH, and the Bay State Banner, among others. 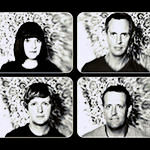 Golden Arrows is a graphic design cooperative made up of Nerissa Cooney and Alexander Hage. Working for people who do audacious and inspired work in their communities, Golden Arrows always considers the logic, function, and aesthetic of each project, and takes a deeply collaborative approach to all their work. 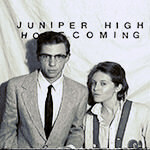 Julia Reichert is a godmother of the American independent and documentary film movement. Her film Growing Up Female was the first documentary of the modern Women's Movement, and in 2012 was added to the National Film Registry by the Library of Congress. 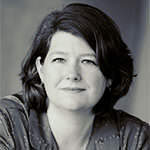 Several of her films have won national acclaim, including Academy Award-nominated Union Maids, Seeing Red, and The Last Truck; A Lion in the House, which premiered at Sundance and won the Primetime Emmy for "exceptional merit in nonfiction filmmaking," and Sparkle, which won the Audience Award for Best Short at Silverdocs. Reichert is co-founder of national film distribution co-op New Day Films, the author of Doing It Yourself, and a film professor at Wright State University in Dayton, Ohio. 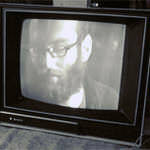 Steven Bognar's first documentary feature, Personal Belongings, premiered at the Sundance Film Festival and was broadcast on the PBS series P.O.V. 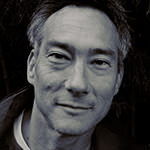 His documentaries have been widely screened, including Waiting for Marty on the Independent Film Channel, the Emmy-winning A Lion in the House on Independent Lens, the Academy Award-nominated The Last Truck on HBO, and Sparkle, which won the Audience Award for Best Short at Silverdocs, on PBS. Bognar is also a film professor at Wright State University in Dayton, Ohio. Neenah Ellis is the general manager at WYSO. She began her radio career in high school, working at her parents' commercial radio station in Valparaiso,Indiana. She came to WYSO in 2009 after 30 years as a radio documentary producer in Washington, D.C. She's been a producer for All Things Considered at NPR and has won three Peabody Awards, broadcasting's highest honor, for her work. 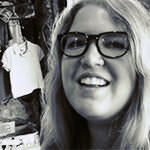 Emily Evans is a documentary filmmaker who grew up in Franklin, Ohio. 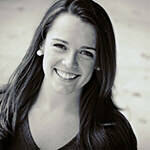 She currently lives in Dayton where she attends Wright State University, studyingmotion picture production. For the past year and a half, she has worked with Julia Reichert and Steven Bognar on various projects, including the short Sparkle. 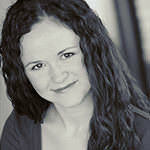 When Evans isn't working in film production, she enjoys writing poems, singing songs, and dancing till her feet are sore. Eric Risher was born in Canton, Ohio, where he integrated himself into the performing arts. He developed an affinity for film editing and moved to Daytonto attend Wright State University for motion picture production. With a passion for narrative and documentary alike, Risher assists Julia Reichert andSteve Bognar as an editor for Reinvention Stories and other projects, including the short Sparkle. He is currently working on his senior thesis documentary, Through Fox's Eyes. 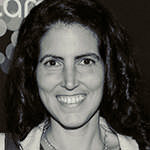 Sarah Buckingham is an award-winning radio producer. She grew up in central Ohio and came to the Miami Valley to study philosophy and media arts at Antioch College. 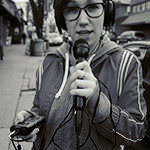 She previously worked at the Prometheus Radio Project in Philadelphia, Pennsylvania, and Brattleboro Community Radio in Southern Vermont. Buckingham studied radio production at the Salt Institute for Documentary Studies. She came to WYSO in 2010 and developed the Community Voices training with Neenah Ellis. 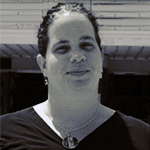 Lesley Fogle is an audio specialist and multimedia producer with two decades of industry experience in content creation, recording, sound design, and audio finish for the national broadcast, film, and educational markets. 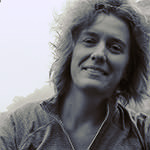 Liz Cambron is a filmmaker from Dayton, Ohio. 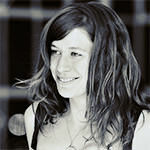 Her first short film competed in Slamdance 2011, and she currently freelances in the documentary world. 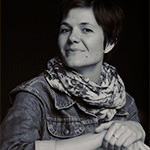 Shehas produced work for WYSO, Planned Parenthood, the Downtown Dayton Partnership, and has worked with many filmmakers. 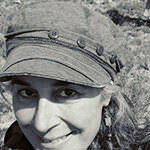 She is a producer and writer for New Left Media and is a contributor to Reinvention Stories. She also has an affinity for cats and screams in a punk band. Shawndra Jones was born and raised in the state of Ohio. She recently obtained her degree from Wright State University's motion picture program. She has been working hard at developing her passion for local storytelling, and plans to keep making a difference through her filmmaking. 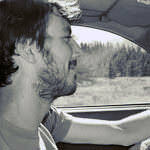 Kyle Wilkinson is a documentary filmmaker and cinematographer. He has participated on multiple award-winning documentaries, including the Silverdocs Audience Award-winning film Sparkle. Wilkinson is a graduate of Wright State's motion picture production department and continues to work on both narrative and documentary films. 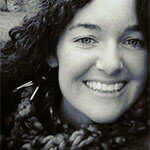 Megan Hague is a documentary filmmaker from Dayton, Ohio. She is preparing to graduate from the motion picture program at Wright State University while completing her first narrative short film, Punk Girl. Hague is currently living in Yellow Springs doing local documentary work and planning her next project, a documentary series about nonconforming misfit women of Ohio. 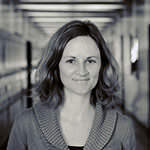 Emily McCord began her career in 2003 at WFIU Public Radio in Bloomington, Indiana, producing and hosting music and news programs and learning the behind-the-scenes work of public broadcasting. 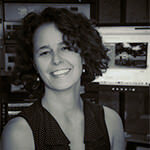 She joined WYSO in 2007 as the host of All Things Considered and jumped head first into newsgathering. Her reporting has earned her numerous AP awards and a nationally recognized Gabriel Award. 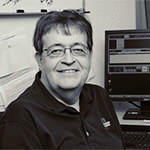 Jerry Kenney began volunteering at WYSO in 1991 and began hosting Alpha Rhythms in February of 1992. He joined the WYSO staff in 2007 as a host of All Things Considered and soon transitioned into hosting Morning Edition, in addition to serving as host and producer of news and artsmagazine WYSO Weekend and a producer of radio dramas in collaboration with local theater companies. 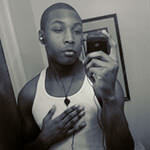 Kenney has won several Ohio AP awards as wellas an award from PRINDI for his work with the WYSO news department. Born a Hoosier, Niki Dakota spent much of her young life moving around the United States with her archaeologist mother, always with a ukulele close athand. 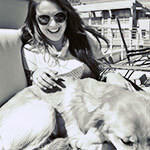 By the time the family settled in Cincinnati, Ohio, Dakota found herself heading up the alterna-folk band Plow On Boy. During her first live radiointerview in 1990, the DJ closed the mic and said, "You need to be in radio." In 2002, her radio career brought her to WYSO where she shares her love ofmusic with the Miami Valley weekdays on Excursions. 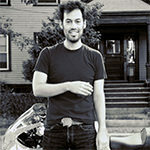 Luke Dennis tried to get a job at a Boston public radio station in 2002 and they told him to come back when he had experience. Ten years later, he landed at WYSO and plans to never leave. In the meantime, he served for three-plus years as the executive director of Muse Machine, taught improvisation to middle schoolers and acting to undergraduates, led opera education courses for adults, and served as a curator for Harvard University. He grew up listening to WYSO and learned how to make radio documentaries as a member of the very first WYSO Community Voices class. 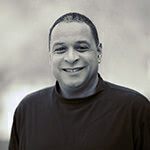 Wayne Baker is a graduate of Yellow Springs High School and Central State University. 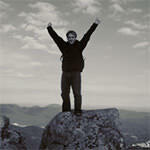 He has worked in print media for several years covering news and sports. Baker has coached youth basketball in the Yellow Springs school system and served on the Human Relations Commission. 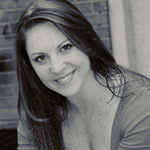 Jennifer Carlson was born and raised in Austin, Texas. 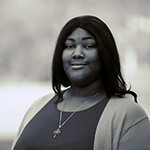 She is pursuing a degree in media studies at Antioch College. Her passion for storytelling led to her year as a Miller Fellow at WYSO. 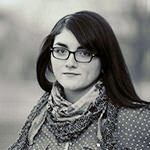 She is currently interning at Vocalo with Chicago Public Media. Basim Blunt is a 2011 Community Voices producer for WYSO and 2012 New Voices Scholar with the Association of Independents in Radio. After graduating from New Jersey City University, Blunt served as Black Music A&R staffer at Capitol Records and then FM morning show producer at 107.3 JAMZ in Greenville,South Carolina. 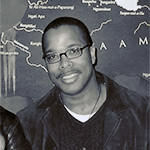 In 1993, he became a senior producer on Black Impact with Daryl Ward. 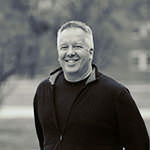 He also worked as a video editor for the ThinkTV series Our Ohio, and has taught high school, college, and community access media production courses for more than 12 years. Blunt is also on the board of FilmDayton and the Dayton African American Cultural Festival. Kristen Wicker has fancied herself a writer since she was able to make scribbles with a crayon, particularly since winning the Miami Valley's Young Authors Contest in grade school with her debut novel, a Smurfs rip-off, The Twixies' Journey to Fantasy Castle. The daughter of a military civilian, and later in life being a loose cannon, Wicker has lived in Tehran, Iran; Cairo, Egypt; Grand Canyon, Arizona; and Myrtle Beach, South Carolina. These days, she hangs out in downtown Dayton and feels quite exotic when she ventures to the far-off locales of Piqua and Beavercreek. Juliet Fromholt has been a WYSO listener for as long as she can remember, and began volunteering at the station while also serving as program director and general manager at WWSU, the student station at her alma mater, Wright State University. Fromholt oversees WYSO's Web and social media presence, produces news features, and hosts two music programs. In her spare time, she is music editor at online magazine Dayton Most Metro, and is proud to serve as a board member for the Antioch Writers' Workshop and Cityfolk. 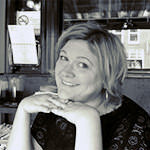 Tracy Staley is a freelance writer and editor. She is a frequent contributor to the Dayton Business Journal and a member of WYSO's Community Voices. A graduate of the University of Kentucky, she lives in Oakwood, Ohio, with her husband and three sons. 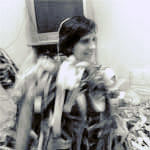 Rachel Dangerfield is the founder and chief creative mind at Imaginary Beast (www.imaginarybeast.com), a creative studio in Columbus, Ohio. With her unique approach, she strives to bring heart and new life into brands. 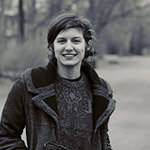 im Berger is a musician, composer, and music producer who has created scores for multiple films, features, and shorts, including A Lion in the House, The Dream Catcher, Speed of Life, The Last Truck: Closing of a GM Plant, and Sparkle. Alexis Larsen currently works at The Dayton Art Institute as the Director of Marketing and Events, and is a past WYSO Community Voices participant. Previously, she worked for the Dayton Daily News for almost 13 years, serving in various roles, including staff artist, GO! editor, and Arts & Entertainment and Lifestyle editor. She graduated from Wright State University and lives in downtown Dayton. 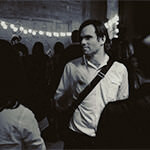 Ed Radtke is a writer/director who often works in the creation of music with his compatriot Tim Berger. Radtke's fiction features includeSpeed of Life (Jury Award, Venice Film Festival), The Dream Catcher (Best Director Award, Los Angeles Film Festival), and Bottom Land. 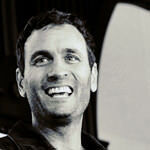 He has created music for his films, as well as for A Lion in the House and Reinvention Stories. 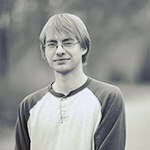 Zebedee Reichert is a student at Antioch College in Yellow Springs, Ohio. Studying the visual and media arts, he spent an internship period working for Reichert and Bognar. Enjoying all steps of movie creation, Zebedee hopes to one day create his own well-renowned work. Nick Rollins started being interested in film in the second grade. In high school, he expanded his knowledge by going to CTC for multimedia productions. Once graduated, he began teaching himself VFX and fell in love. From then on, Nick started freelancing around Ohio and hasn't stopped. 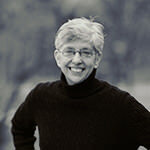 After a long career in education as a teacher and administrator-from preschool to the doctoral level to co-founding a charter school)-and completing a doctorate in education focusing on language learning, literacy, and ethnography, Jude retired. She turned to a new life as a writer, Community Voices radio producer, and board member/president-elect of the Story Circle Network, a national organization for women with stories to tell. 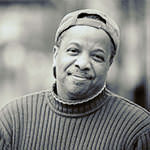 Whiteside is a documentary filmmaker and co-founder of the popular documentary Web series New Left Media. The Kitchen Sisters (Davia Nelson & Nikki Silva) are lead producers of The Making Of … and are also lead producers of the NPR series The Hidden World of Girls, the duPont-Columbia Award-winning NPR series Hidden Kitchens, and two Peabody Award-winning NPR collaborations, Lost & Found Sound and The Sonic Memorial Project. They are dedicated to creating intimate, sound-rich documentaries that bring seldom-heard voices to the air, mentoring young producers, and building community through storytelling. Nathan Dalton has worked with The Kitchen Sisters on The Hidden World of Girls and Hidden Kitchens. He spent much of his youth touring the country and playing music with a variety of bands, but these days can usually be found haunting the farmers' markets and shuffling through the library stacks of Berkeley, California, where he lives with his family. 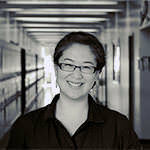 Marie K. Lee is a senior interactive producer at KQED. 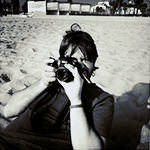 She produces sites for The Making Of …, Film School Shorts, Sound Tracks, Truly CA, ImageMakers, and Spark. 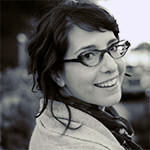 For her work on the Spark site, she garnered a 2003 Northern California Area Emmy Award for Interactivity. 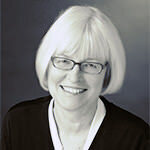 Jo Anne Wallace is KQED's vice president and general manager. She has served as station manager of WYSO-FM in Yellow Springs, Ohio, KPFA-FM in Berkeley, and WGBH-FM in Boston, and as director of administration and planning in National Public Radio's news and information programming division. In September 1998, she was elected to the NPR Board of Directors. Albertson Design is a creative services company specializing in brand identity and design communications for print and interactive media. 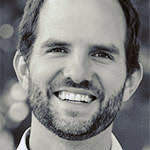 Led by creative director David Albertson, their team of designers, writers, researchers, and programmers has launched media companies (see Make), built social networks (seedot429.com), and reimagined what is activism (see Slow Food Nation). Drew Schorno is an interactive web designer with a passion for pushing the boundaries of the web as a platform for art and storytelling. Past projects have included the 2011 award-winning interactive web documentary “Welcome To Pine Point” which explored the memories of residents from a former mining community in the Northwest Territories. Other projects have included responsive web design and collateral materials for Fox Music and bands such as Ra Ra Riot and Broken Social Scene. 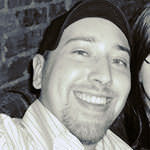 Greg Schorno is a Software Engineer with a focus on browser based image editing software. His past work has also included the high-performace medical imaging software Preview 32, which has been used at almost every top medical research facility in North America and was used to manage over 50 million DICOM medical image files worth 350 million dollars. Greg has exhibited his generative art in galleries, and has embraced some of the latest cutting edge web technologies in his recent work. 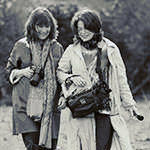 Veteran radio producers The Kitchen Sisters join forces with KQED to spearhead The Making Of..., a mixed-media series that chronicles the creativity happening across Northern California—the hub of American innovation. The Making of… Studio, produced with Zeega, invites participants to craft their own interactive artworks.